Should economic policy be joined-up and strategic – or not? There are many reasons she’s right and he’s wrong, and some of them were set out at the launch by speakers including Carolyn Fairbairn, director general of the CBI, and Juergen Maier, UK CEO of Siemens. They include the obvious fact that governments do all kinds of things that affect the economy – education, training, standards, infrastructure, research funding – and they might as well be joined-up and strategic as not. There are lessons to learn from past mistakes, and there will be new mistakes. There will also be massive lobbying and – as Ganesh says – it’s important to make sure post-Brexit Britain has a tough competition policy to enable new entry into markets. But it’s lazy thinking to conclude “markets” should be left to get on with it. After all, that’s the approach since 1980 that has left us with productivity a quarter lower than France or the Netherlands. 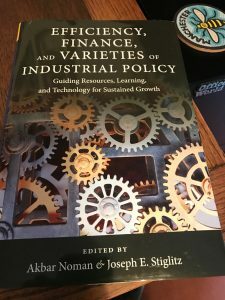 Many of the more positive reasons are set out in a book I’ve been reading, Efficiency, Finance, and Varieties of Industrial Policy edited by Akbar Norman and Joseph Stiglitz. 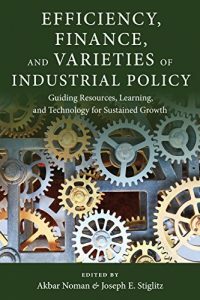 The opening chapter by Mario Cimoli and Giovanni Dosi makes very effectively the case that ‘industrial’ policy is more important in a knowledge economy than in an ‘industrial’ economy: the non-rival character of knowledge increases both the potential benefits of complementarities and network effects, and the extent of co-ordination problems. 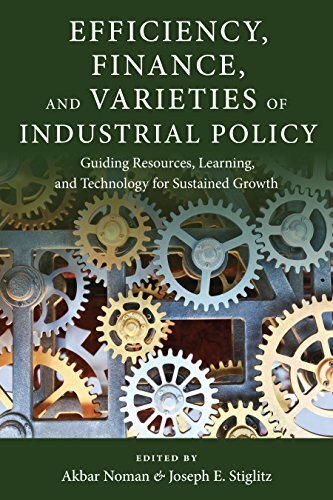 One of the interesting features of the book is that it covers policy in developing as well as developed economies, so introducing a wide range of discussion of institutions – one of the absolutely key issues in making a strategy to address co-ordination problems a success. 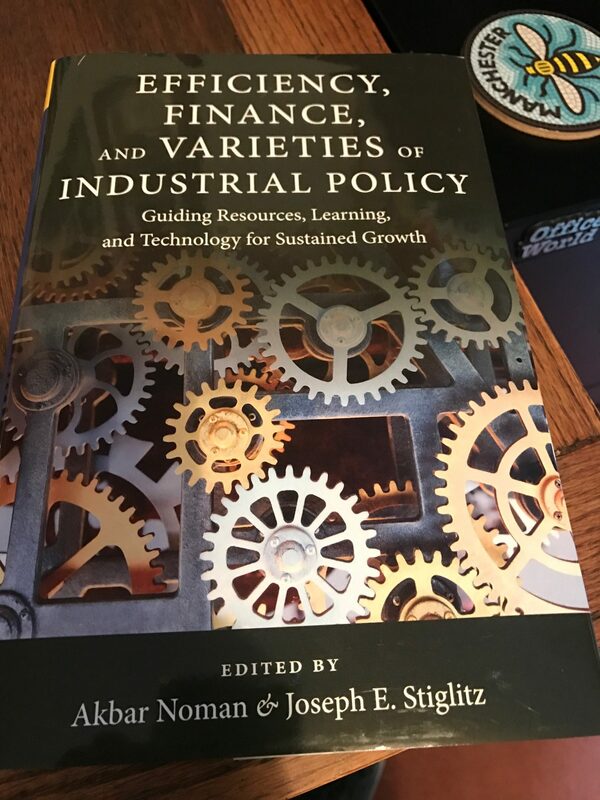 There was a timely new arrival at Enlightenment Towers this morning, Efficiency, Finance and Varieties of Industrial Policy, edited by Akbar Norman and Joe Stiglitz. Ahead of the launch of the Policy@Manchester and SPERI Industrial Strategy Commission, I’m trying to build a list of the best existing resources. 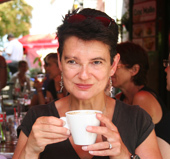 Aside from the academic papers (loads – and also this great blog post Stian Westlake pointed to), my off the top of my head picks so far are Geoffrey Owen’s From Empire to Europe, David Edgerton’s Britain’s War Machine, Dani Rodrik’s One Economics, Many Recipes and Joe Studwell’s How Asia Works. Other suggestions? There must be loads.